The sous chef never ceases to amaze me with his creations. 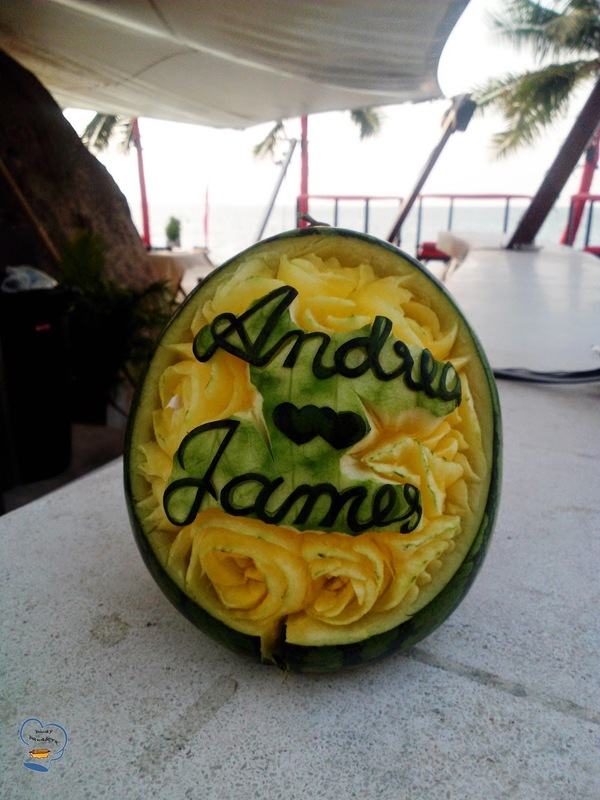 For this year's fourth wedding, he created this party centerpiece using two watermelons. 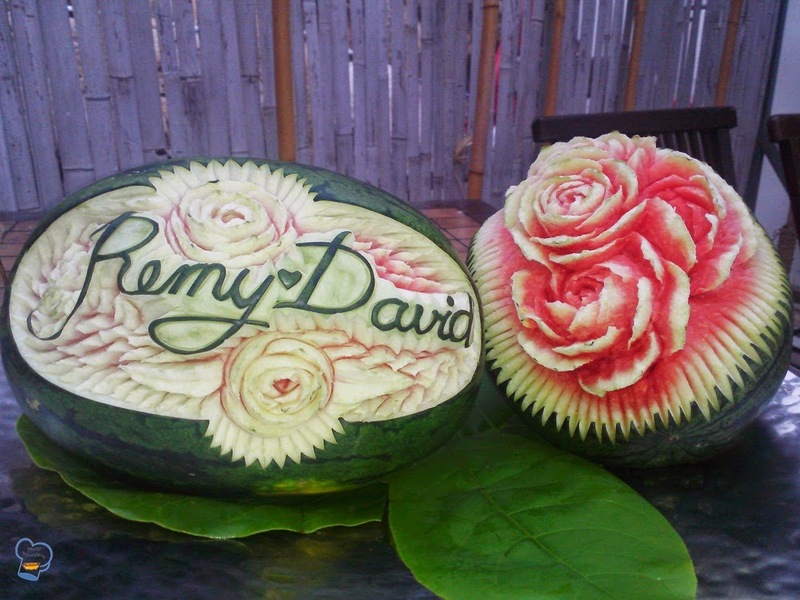 He carved multiple roses into one watermelon and the names of the couple into the other. In the past four years that I am baking, it never crossed my mind that red velvet cake could go well with coconut meringue butter cream frosting. It's something I learned not by reading the internet but through the bride who requested for a coconut flavored frosting. The idea intrigued me. I did my own research and discovered that pairing the two together was possible. There are not many instances when I get to see how the F & B department turns the beach club into a perfect venue for the wedding. It takes time to decorate the whole place with fairy lights, cover the tables and chairs with linens, arrange the buffet table and finally do the place setting. I see the transformation take place from time to time. On those rare occasions when I am lucky to see the venue fully ready, I make sure I have my camera or camera phone with me to capture the scene. Here are some of the shots I took recently. 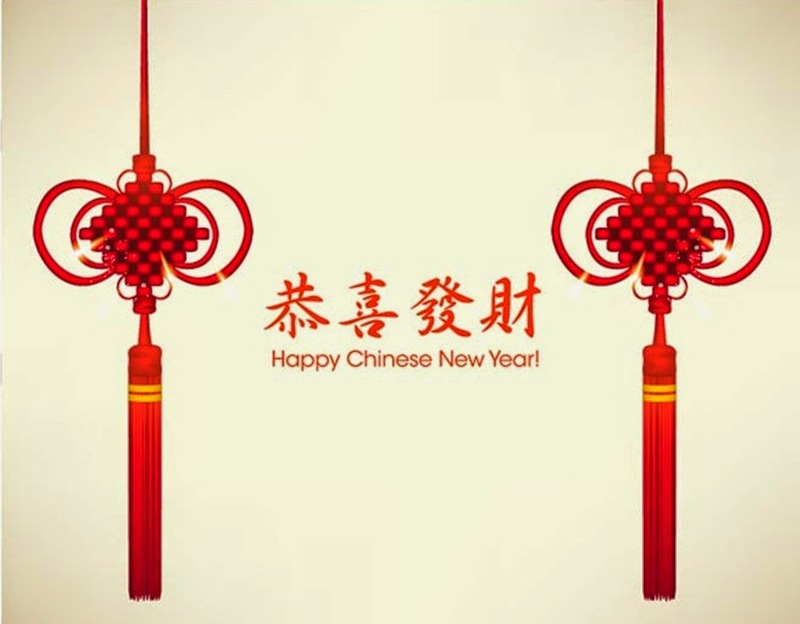 Wishing my Chinese families, friends, readers, former students and colleagues a prosperous Lunar New Year 2015. Gong Xi Fa Cai!!!! The sous chef has once again exhibited his fruit carving skill with this watermelon centerpiece. He used the yellow flesh this time. I prefer the red watermelon as it creates a more striking effect. I have been wanting to learn from him but due to my manic work schedule I haven't had the chance to do so, let alone watch him carve. 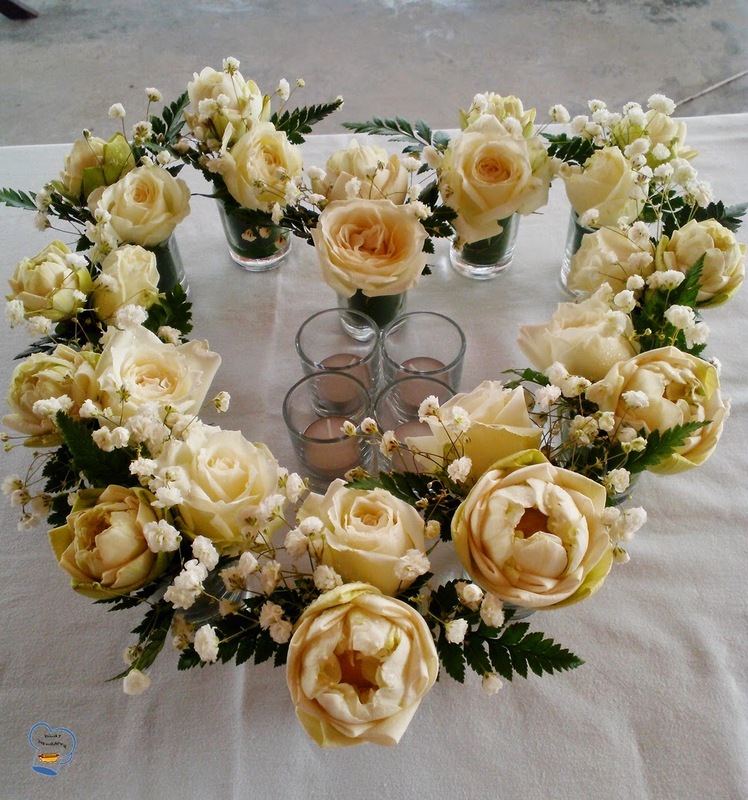 As expected, this impressive work of him has brought smile and joy to the couple. The resort I work at is getting busier as the wedding season continues. Only a couple weeks after the last January wedding was held, I made the exact same cake for another wedding early this month. This was actually a last minute request. The mother of the bride made the request a week before her daughter's big day. My boss asked her to take her pick among the wedding cakes I've made in the past. Luckily she chose the one I am familiar with and make so often. That's a relief as I still had treats to do for her daughter's wedding and another wedding two days later. The birthday girl loves pink. Her mother asked if I could make her daughter cupcake instead of cake. She wanted pink frosting. The thought of it got me excited. I could finally make a different treat this time. 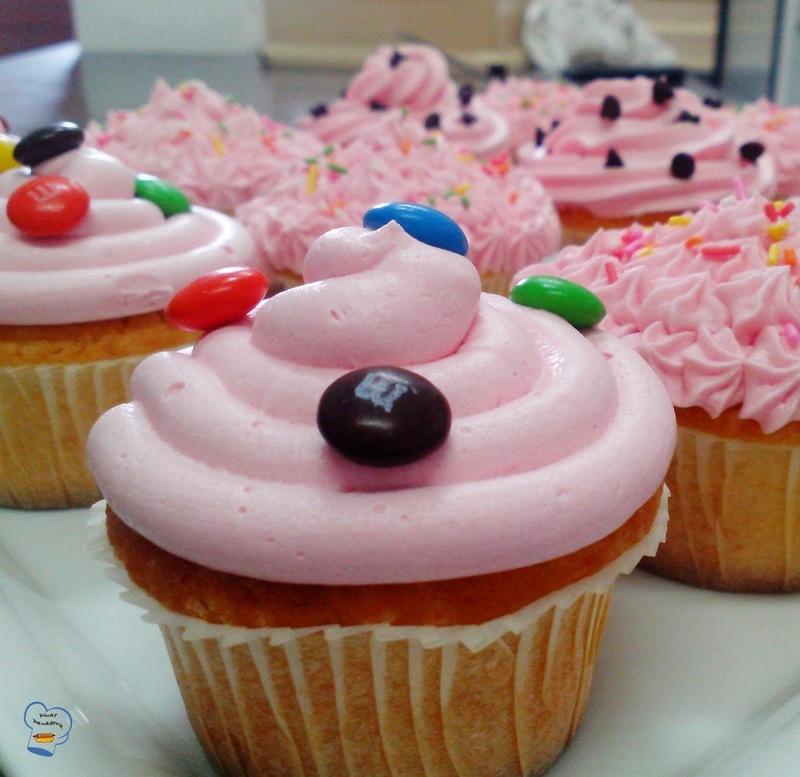 It was ages ago when I baked my last. I've done vanilla cupcakes countless times for our nightly treats (See my vanilla cupcake topped with sliced almonds for the recipe).It is a real crowd-pleaser. I can't go wrong with it. It is something I know so well. So I went for vanilla cupcake and it did not disappoint. 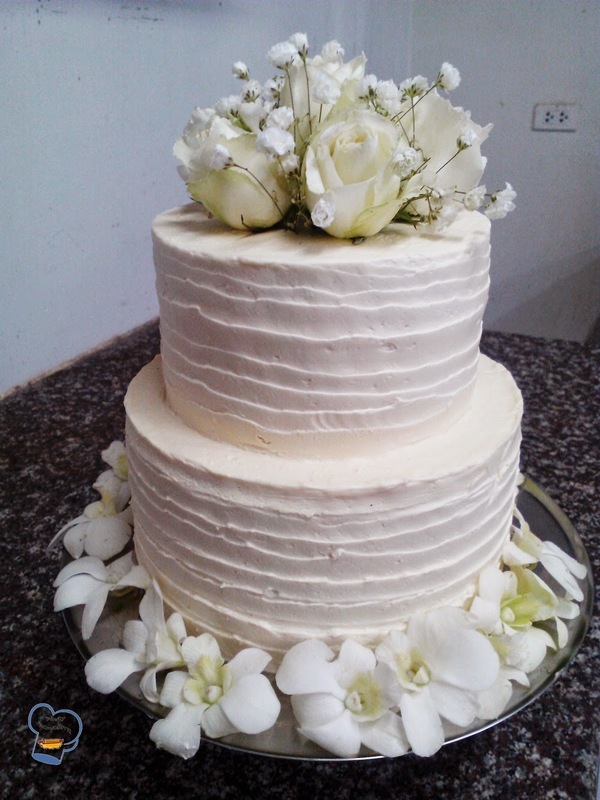 Vanilla chiffon is my go to cake when I am asked to make a birthday cake. It's easy to prepare. No greasing of pans necessary and bakes quick - a must for a busy baker like me. I love that it's light and fluffy too. Here's what I made for a young guest on her birthday. I managed to pull it off the last minute. I got confused thinking this girl and the girl who wanted cupcakes (its in my next post) were the same. Why pink? Well, I thought the color would suit her best. Satisfy your craving for a rich, moist chocolate cake with this luxurious chocolate truffle cake. The layers were filled and frosted with chocolate ganache. The cake border was made with ganache frosting piped into shells. And for a more dramatic look, vanilla butter icing was used to pipe the inscription and the bottom border. 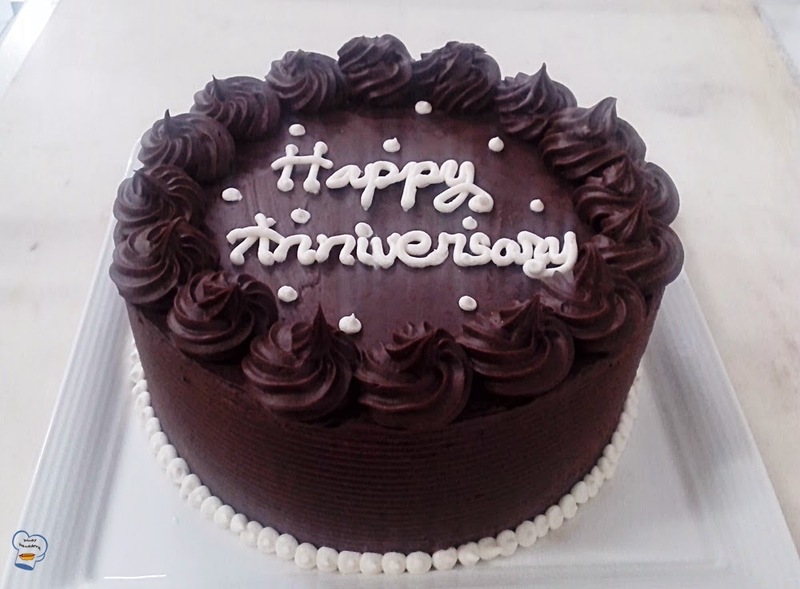 This cake was a sure hit at a dinner party held for one of the guests' anniversary celebration.